smash, This Is Me, performed by Keala Settle, Kesha and the legendary Missy Elliott. Other superstars contributing include Panic! At The Disco, P!nk (and her daughter, Willow Sage Hart), Kelly Clarkson, Sara Bareilles, Years & Years and Jess Glynne, MAX and Ty Dolla $ign, James Arthur and Anne-Marie, Zac Brown Band and more. As if that weren’t enough, the album will include four bonus tracks, performed by Pentatonix, Craig David, Kesha and Zendaya. 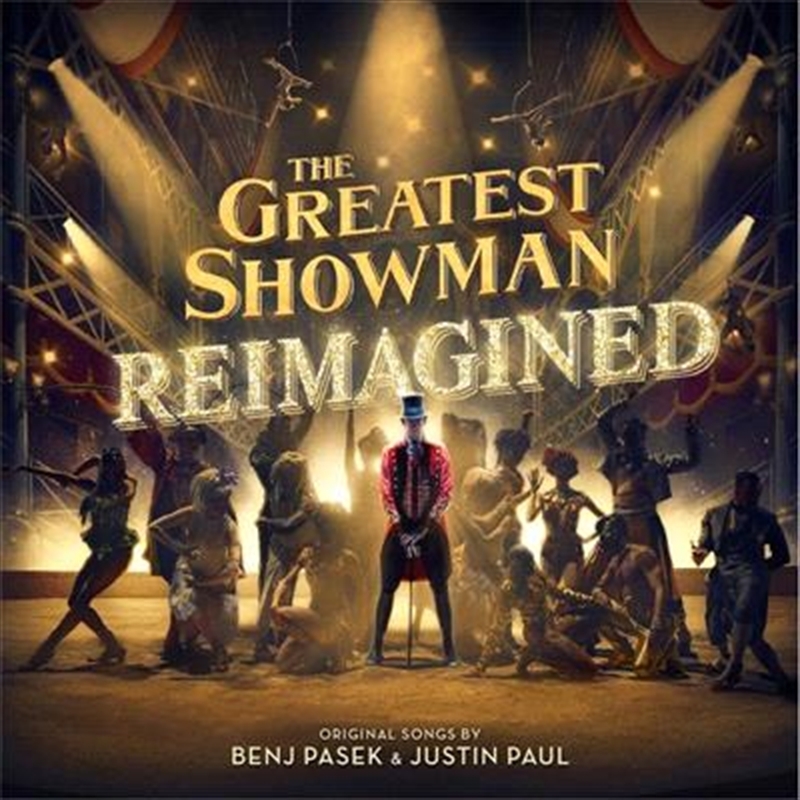 The Greatest Showman – Reimagined is produced by Benj Pasek and Justin Paul, Grammy Award-winning (and five-time nominee) Atlantic Records President, West Coast Kevin Weaver (Furious 7, Suicide Squad, The Fault in Our Stars, The Fate of the Furious) and Grammy Award-winning Atlantic Records President, A&R Pete Ganbarg (Twenty One Pilots, Hamilton: Original Broadway Cast Recording, Dear Evan Hansen: Original Broadway Cast Recording). The album received Executive Music Production by Justin Paul. It was the movie that broke records, dominated the box office and consequently had it’s soundtrack also dominating the charts. And a year later the hype for The Greatest Showman is still very high. So high that they’ve released a reimagined version of the soundtrack that sees some of the worlds biggest artists giving their unique spin on these massive and daring songs. It’s a cool collection of tracks that takes away the stigma of musical songs and turns them into bold pop tracks that respectively all could be chart toppers in their own right. However I did expect more from the opener ‘The Greatest Show’ with Panic At The Disco adding their flare to the song because instead they sort of just followed the original structure. I expected heavier guitars and daring vocal runs but instead they played it kinda safe. From there P!nk strips it down with ‘A Million Dreams’ and has you absolutely in awe of her breathtaking vocals that are later complimented by Kelly Clarkson’s rendition of ‘Never Enough’ which is equally as stunning. And this film doesn't hold back from the empowering ballads with James Arthur and Anne Marie’s rendition of ‘Rewrite The Stars’ and Sara Bareilles rendition of ‘Tightrope’ giving you nice little warm and fuzzy moments. The country twist of ‘From Now On’ with Zac Brown Band is sort of predictable but appropriately done whilst Kesha’s version of ‘This Is Me’ is already well known. However ‘The Other Side’ was one of my favourite moments in the movie because of it’s minimalism in delivery but pure power in production and MAX and TY Dolla $ign’s version just lacks that same layering. TY Dolla $ign’s vocals are just not strong enough to elevate this song to the level it needed to go to and Khalid would've been a better selection if they wanted a RNB approach. But the albums strongest moment comes from the Years & Years and Jess Glynne rendition of ‘Come Alive’ which offers a groovy disco production that you can’t help but instantly love. I don’t know why this song was the dark horse of the soundtrack but it just was and it smashes through to new heights with this funky new delivery. And that’s the cool thing about this reimagined soundtrack as it really does allow for a new perspective of these songs that you have come to know and love so whole heartedly.